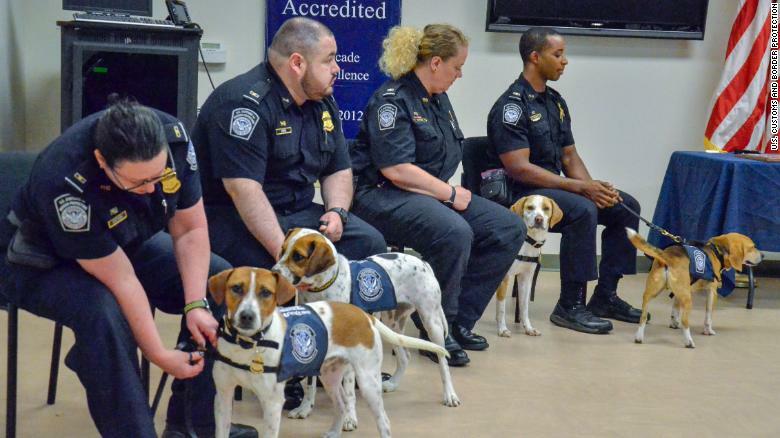 Chaze, Cardie, Marlee and Chipper, as seen from left to right, graduate into the "Beagle Brigade" and wear their uniforms for the first time. 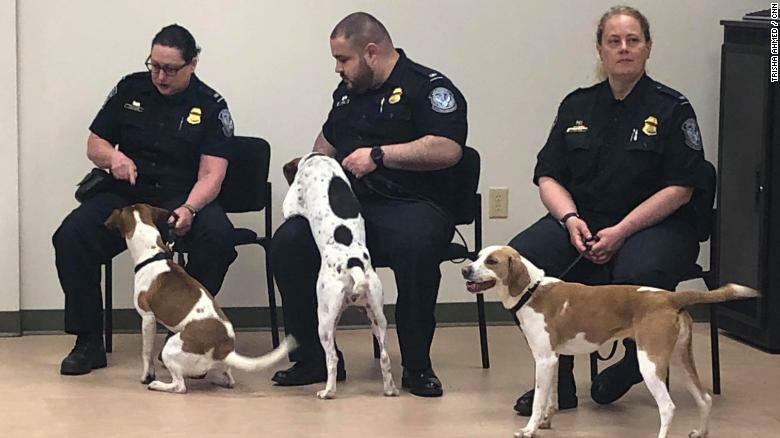 (CNN) Meet America's newest, and cutest, federal officers: a band of rescued beagles known as Chipper, Marlee, Chaze and Cardie. Starting next week, these four will begin their careers at two of America's busiest airports, Atlanta's Hartsfield-Jackson and Chicago's O'Hare. 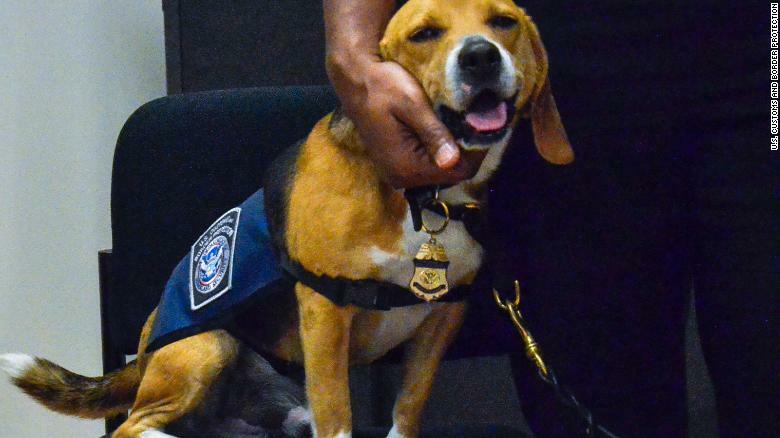 They will join the hundreds of beagles already at work at ports of entry in the US and abroad. Chipper gives his trainer a celebratory kiss at the graduation ceremony. You can't bring in fruits, such as apples or oranges, because they can carry fruit flies. And Mediterranean fruit flies, an invasive pest, can devastate the citrus industry. Chipper wears his uniform for the first time. 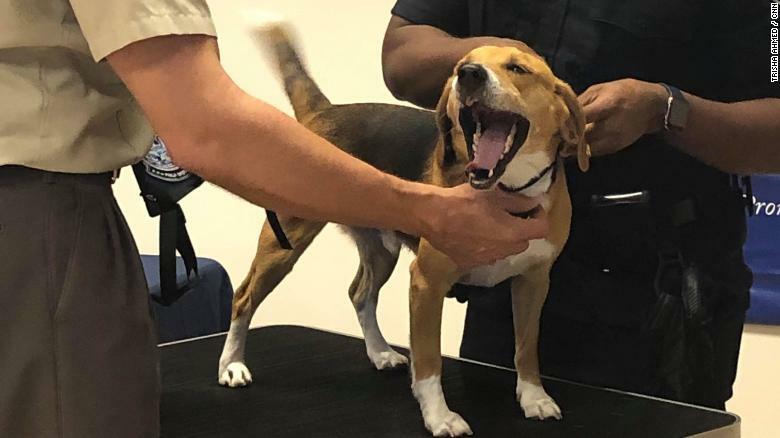 "There wouldn't be enough natural predators to keep them in check," said Chopko, a training specialist with the US Agriculture Department. "And the way they multiply, the devastation that happens on the fruit is dangerous." Chipper sniffs for fruits, plants, and meat products in an airport simulation activity. "If that meat gets into the United States, that could devastate the whole pork industry. We're talking billions of dollars, not just in lost revenue, but also in lost jobs and eradication efforts." 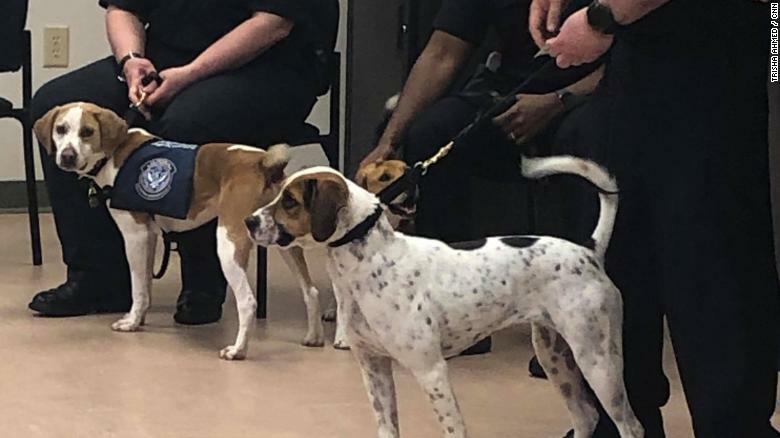 Cardie (middle) hugs her handler's leg just before graduation. "I'm so excited to be an officer!!" 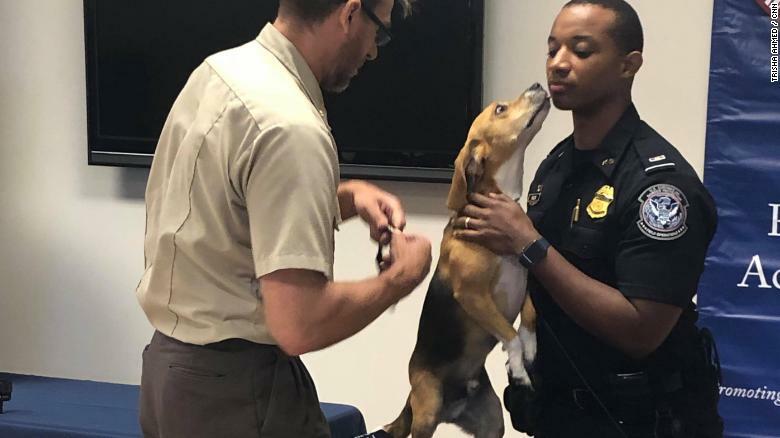 "No one minds that a beagle is running around," said Aaron Beaumont, a training specialist supervisor at the US Agriculture Department. "They're not intimidating, which makes them unobtrusive when inspecting traveling passengers." Cardie (right) had a broken femur and injured face when the USDA met her three months ago. They suspect Cardie was hit by a car before entering the animal shelter. Her wounds are now healed. "So many shelters are kill shelters, and the dogs might not get a second chance. 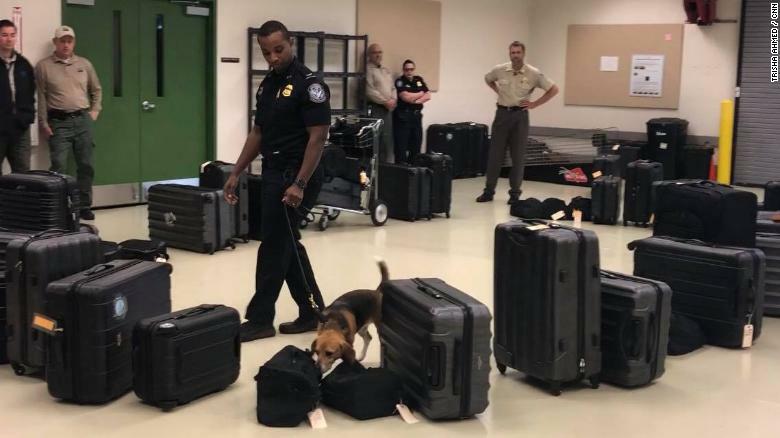 We try to utilize the dogs that are out there and are already looking for a home and a job," said Marguerite Stetson, who works for Customs and Border Patrol and who trained Chaze.